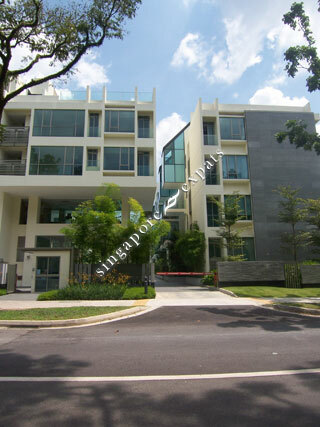 BEAUFORT ON NASSIM is located at 12 NASSIM ROAD in district 10 (Bukit Timah, Grange, Holland) of Singapore. BEAUFORT ON NASSIM is a Freehold Condo development consisting of 30 units. BEAUFORT ON NASSIM is completed / TOP in 2008 (estimated), developed by POWERFORD PTE LTD (HKR INTERNATIONAL). Educational institutions like ISS ELEMENTARY & MIDDLE SCHOOL, CHINESE INTERNATIONAL SCHOOL, AVONDALE GRAMMAR SCHOOL, SINGAPORE CHINESE GIRLS' PRIMARY SCHOOL, ANGLO-CHINESE SCHOOL (PRIMARY) and ANGLO-CHINESE SCHOOL (JUNIOR) are near to BEAUFORT ON NASSIM. BEAUFORT ON NASSIM is accessible via nearby ORCHARD, STEVENS and NEWTON MRT Stations. Landed Housing in a plush condominium.